Long gone are the days where smartwatches are branded alongside the pocket protector. This begs the question: is it time for me to buy a smartwatch? The answer – a resounding yes. Here are some reasons why. One of the biggest reasons why you need a smartwatch is for the notifications – liberating you from the distractions of your smartphone. A smartwatch gives you back some control over your time (and keeps you from annoying friends and family as you continually stare at your screen). While smartwatches are not replacing phones, the ease of having your messages, emails and calls seen at a glance of your wrist rather than removing your phone every minute of the day is invaluable. When your smartwatch notifies you, a quick glance will let you decide if you need to interrupt your current task. How many of you purchased a fitness tracker, wore it for a few weeks, and then took it off because you didn’t want to wear it as well as a watch? That’s the life-span of most dedicated fitness trackers. Until now. Garmin has combined everything you need. Whether you are an exercise-obsessed techy or a runner who’s also concerned with style, you don’t need to invest in both a running watch, activity tracker and a smartwatch. Instead, transition effortlessly from workday office to weekend warrior. Watches like the Garmin fenix 3, with styling closely resembling a diver’s watch, are now melding together form and function. The fitness band industry is still thriving, but given their stripped down nature, why bother with a basic wearable when you could upgrade and have it all in one? All smartwatches are capable of counting steps and most will run fitness apps, but with other useful health-conscious features as well. All-purpose outdoors watches, with dedicated modes for hiking, running, cycling, skiing and swimming are becoming more and more popular. Tracking your fitness has never been easier or more fun. Getting around is much easier with a smartwatch. Sent directly to your watch, directions tell you, turn by turn, where you’re headed. While all smartwatches include some sort of GPS, there are very few that connect to various sources. And even fewer that do it and look good. 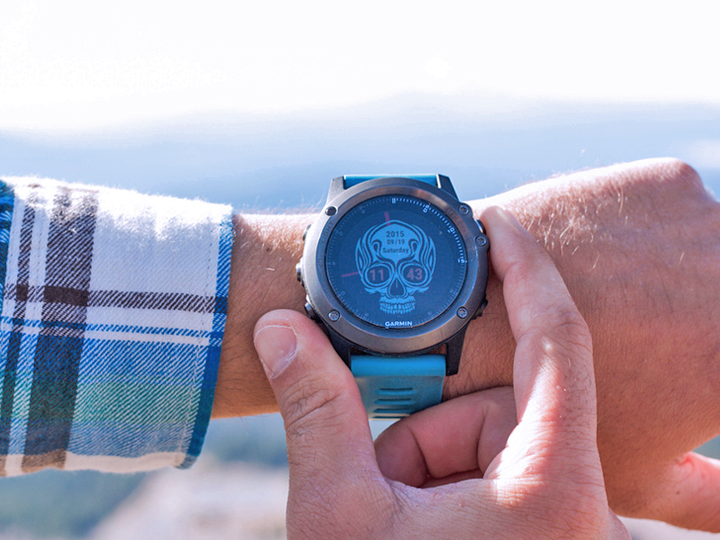 With its state-of-the-art satellite navigation as well as its ability to connect to GLONASS, the Garmin fenix 3 offers faster and more precise tracking. So whether it’s meeting friends for a drink at that hip new bar or hiking the back trails, this smartwatch keeps you on course. Between answering emails and answering calls, not to mention the plethora of apps used throughout the day, by the time you leave the office, your phone is dead. Obviously this is not the biggest reason to buy a smartwatch, but it is a nice added value. Receiving notifications and navigating around via your wrist means a smartwatch has a significant impact on your phone’s battery life and you don’t have to worry about where you’re going to get your next charge. So what are you waiting for? Free yourself. This post was brought to you by Garmin, delivering innovative GPS technology across diverse markets.